Moonlighting in Nashville’s Belle Meade Anyone? The art of moonlighting is a creative medium in itself. The type of illumination that comes from moonlighting gives off an ethereal effect that cannot be duplicated by any other lighting technique. 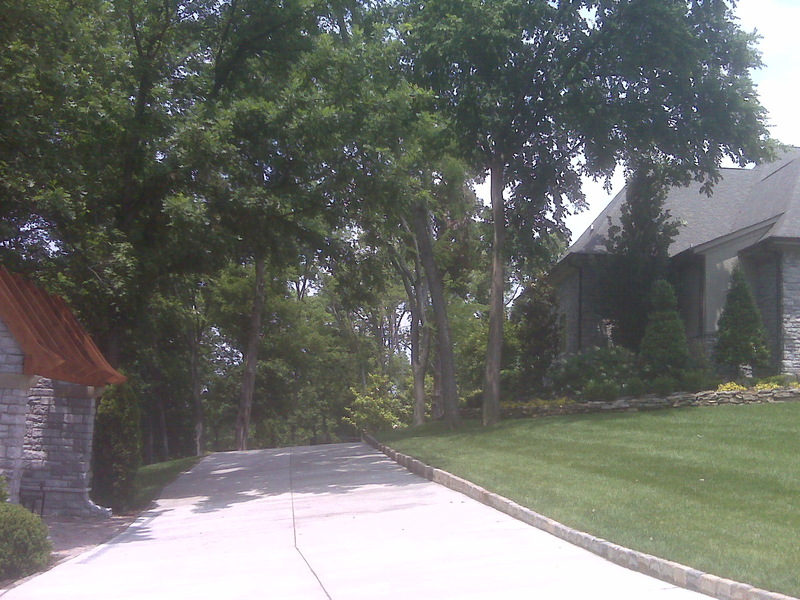 Outdoor Lighting Perspectives of Nashville was recently selected to install moonlighting for an owner in Belle Meade. The homeowner wanted to illuminate the driveway. Here at Outdoor Lighting Perspectives of Nashville we try to avoid having a fixture out in the open because not only does it become a tripping hazard it is susceptible to damage from mowers, aerators, edgers and other machinery. We suggested moonlighting the large trees that grace the driveway, this would effectively light the long driveway and give a soothing, romantic light as well. The homeowner allowed John Groce of Outdoor Lighting Perspectives of Nashville to serve as contractor on the job, thus we were able to line up the electrician and the irrigation company to under the sidewalk. The electrician had already been there previously and ran power to the trees. 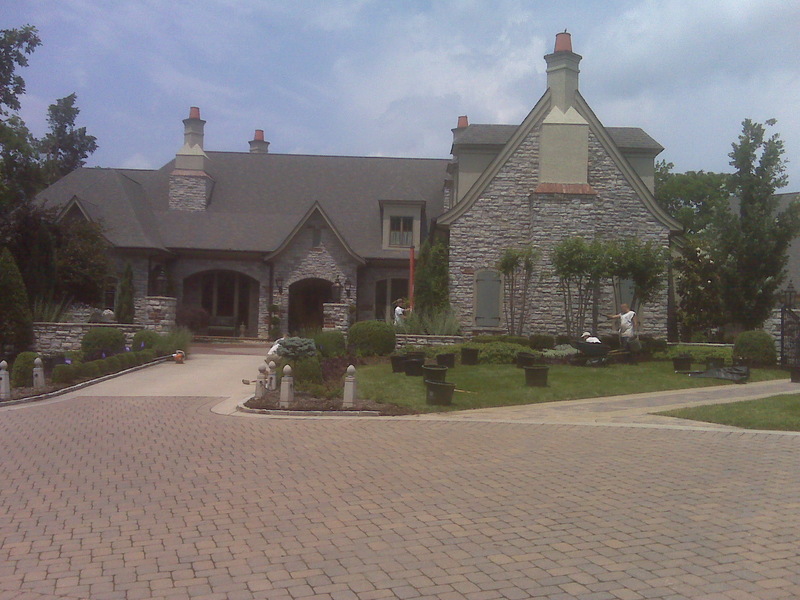 Sandra Nichols Landscaping was the landscaper on the job and we worked hand in hand during the progression. Since the electrician had run power from the house to the trees there is a receptacle at the trees. These are done on all 120 volt, line voltage and is a different fixture which uses a ballast to power the bulbs. The bulbs are all ceramic metal halide. Ceramic metal halide are the same type of bulbs used in jewelry and grocery stores and are coveted for their high score on the CRI (color rendering index). The light itself is still low-wattage, at only 39 watts, they still put out an enormous amount of light. As an example of the amount and quality these lights emit, you could hold 30 pieces of blue string in all variations in your hand, and in the noon day sun you could clearly see each variation from string to string. The same clarity is apparent under the moonlighting as well. We are planning on using the current timer the customer has inside the home to hook in the moonlights for control. We had previously completed the lighting in this customers backyard as well. Just as we had previously worked with this homeowner before, we enjoyed working with her once again on this moonlighting application. 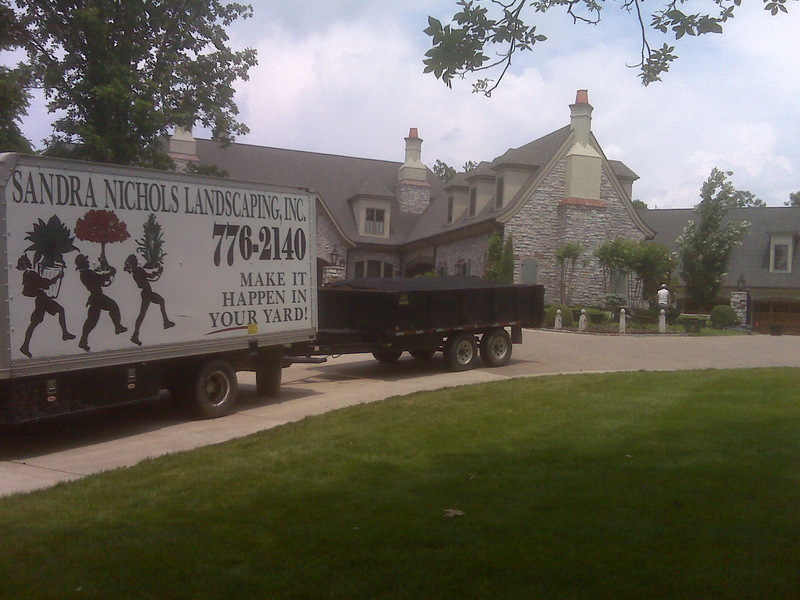 We want to commend Sandra Nichols Landscaping as well. This very stately driveway on this very stately property is now complete with the ambiance of the moonlighting, another job well done! This entry was posted in Color Rendering Index, Lighting Design Concepts, Moonlighting, Outdoor Lighting, Outdoor lighting design, Outdoor Lighting Installation, Outdoor Lights Nashville, Residential outdoor lighting and tagged Belle Meade, Landscape Lighting, lighting, lighting design, lighting specialist, moonlighting, Moonlighting in Belle Meade, Nashville, Outdoor Lighting, outdoor lighting Nashville, outdoor lighting perspectives, Sandra Nichols Landscaping by John Groce. Bookmark the permalink.